Menopause signals the end of a woman’s menstrual cycles and the beginning of a new stage in her life. At Health Solutions in Wellington, Florida, our caring and dedicated team of providers help women navigate the stages of menopause with ease. To resolve your symptoms and find a trusted physician for this challenging time of life, call and book an appointment today. Menopause is the stage in a woman’s life where she no longer has regular menstrual cycles. It signals the end of her fertility years, as the female body stops producing the hormones necessary to conceive a child. Menopause has technically arrived when a woman goes 12 consecutive months without a period. Some women might also experience night sweats, vaginal dryness, or brittle bones. Your menopause treatment plan is highly individualized, and it's adjustable at any time. What are the benefits of treating menopause? Menopause can be a physically and emotionally challenging time in a woman’s life. With all of the changes happening in your body, it’s helpful to have a trusted medical provider to navigate you through the process. After menopause, your risk of heart disease, osteoporosis, incontinence, and sexual dysfunction increase. Since this stage marks a time when women are more prone to dangerous late-life health conditions, treatment is helpful to ensure you catch the early signs of any potential problems. Medical treatment for menopause is also helpful because it allows you to better cope with the emotional and psychological challenges that sometimes arise for women at this time. 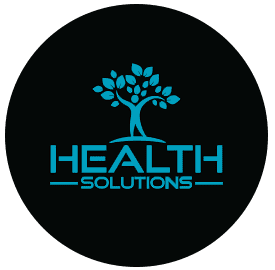 Our team at Health Solutions can support and empower you during this complicated transition, giving you all the tools and resources you need to feel healthy and happy. To learn more about the menopause services at Health Solutions, call to book an appointment today.